You’ve helped users enter data into your app efficiently. Now you can progress to one of the main reasons for creating a custom app in the first place: to make sense of your data and draw conclusions. How can you use insights from your data to make your business more efficient? 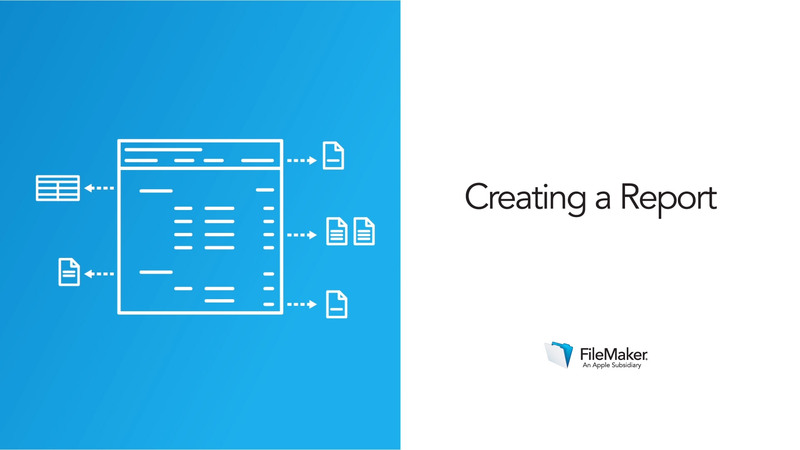 FileMaker Pro Advanced reporting tools help you design report layouts that can show the patterns and trends in your data. The first step in designing a useful report layout is to decide what information you need to see and what you want to learn from it. When you know the goals for the report, you can create a custom layout that shows the information you need to make data-driven decisions. To build a report, you’ll use a special layout part called a sub-summary part. This acts as a separator between groups of data you’re reporting on. Your custom app should improve your business. A report compiling and comparing data is one of the most tangible benefits of having a custom app. When you are comfortable creating reports, you can add new reports easily to answer questions that arise during the course of business. Follow this activity to plan and create a new report.